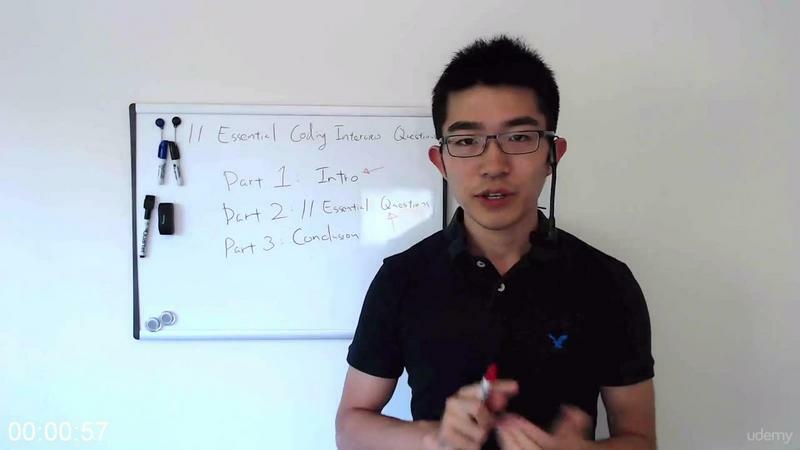 Udemy -11 Essential Coding Interview Questions Coding Exercises | Free eBooks Download - EBOOKEE! Learn 3 problem solving techniques you'll be able to use in your next coding interview! 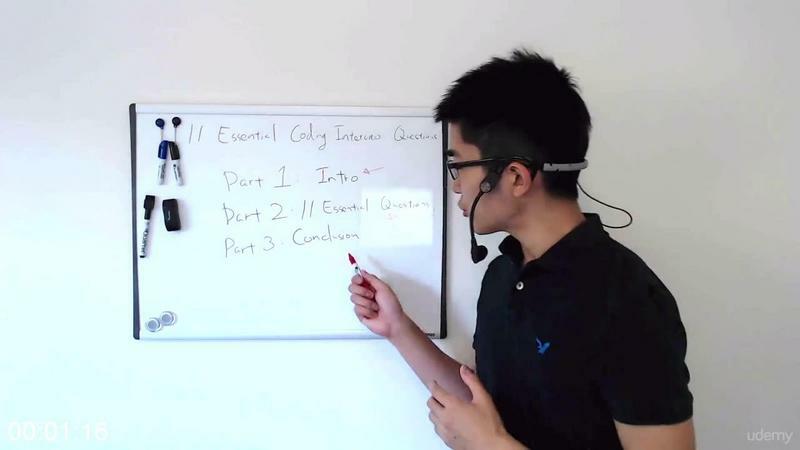 Go through 11 of the most essential coding interview questions, coding exercises and answers! "I wish someone could just walk me through these problems and explain what�s going on." First, I�m going to give you a few problem solving techniques you�ll be able to use right away in your next coding interview. 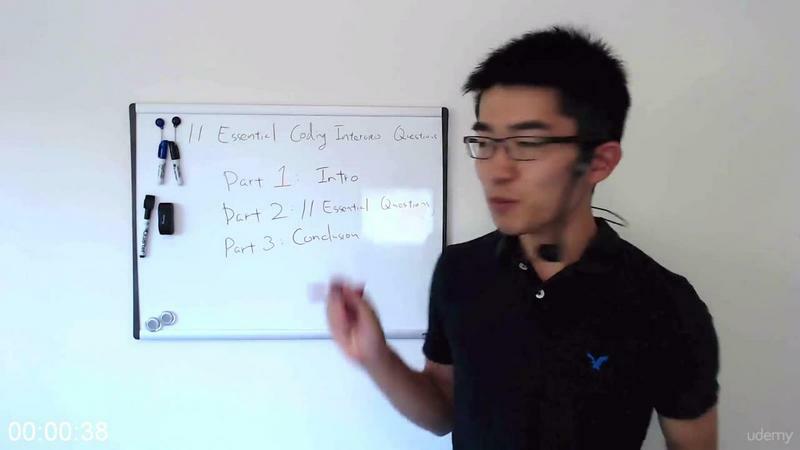 Then, I�m going to walk you through the 11 essential coding interview questions and their answers. I�ve picked these particular questions because they are the types of questions that are asked most often in programming interviews. I�m going to cover problems that use concepts such as arrays, strings, two-dimensional arrays, linked lists and trees. You�ll get a coding exercise in Python and Java for each problem, so you can get feedback on your solution right away. If you want to use any other language to follow this course, that�s fine too! Just remember to run your solution on your computer to make sure it works. If you think you�re ready for this course, watch the preview videos and see if you can solve those problems! 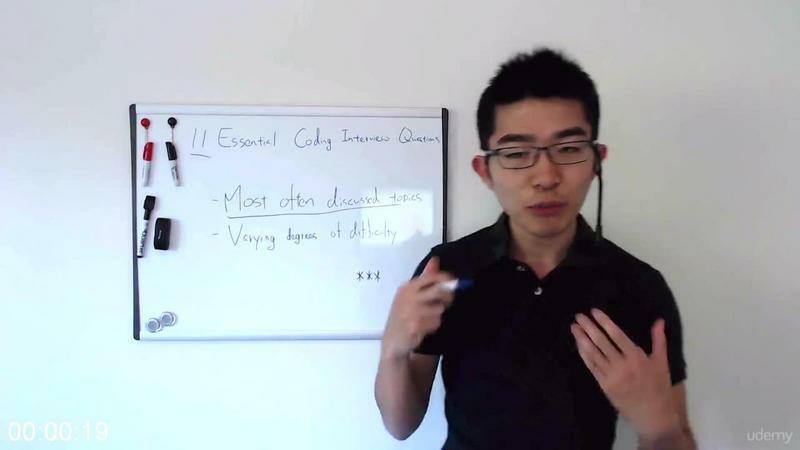 No comments for "Udemy -11 Essential Coding Interview Questions Coding Exercises".